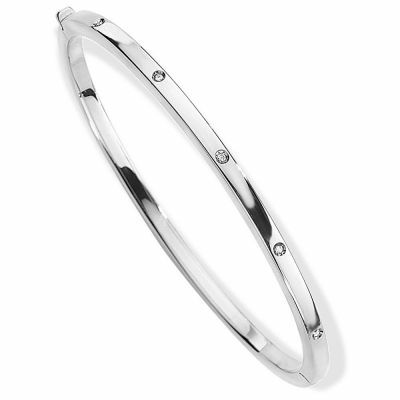 Diamonds scattered on cool white gold feature in this stunning bangle. Concealed box clasp. Approximately 63x56mm. Made in Italy.